Some of you have had this conversation with our staff, others may have read it in other pet related social media or news, and many of you may be completely unaware. We are talking about a concerning link between certain diets and a severe heart disease called Dilated Cardiomyopathy (DCM). We hope to use this update to both inform and empower you to make the best nutrition decisions for your pet. Dilated Cardiomyopathy: What is it? DCM is a disease of the heart where the walls of the heart start to thin and stretch. The chambers then enlarge like a balloon. This results in very inefficient pumping of blood to the body. As the heart continues to expand, it can no longer push blood forcefully enough to other parts of the body to circulate blood and its oxygen effectively. The heart begins to fail. Patients may develop heart murmurs, exercise intolerance, rapid heart or respiratory rates. Early signs can be as simple as fatigue or as dramatic as fainting episodes or full collapse. Each time we examine your pets, we listen to their heart, listening for abnormal rhythms, murmurs, or indications of fluid in the lungs (possible evidence of heart failure). DCM can progress quite far with little to no external symptoms in some cases. What does this have to do with diet? Most DCM cases in the past have been linked to certain breeds of dogs: Great Danes, Dobermans, Portuguese Water dogs, Newfoundlands, Irish wolfhounds and Standard and Giant Schnauzers. About 2 years ago, several cardiologists at UC Davis and Tufts Veterinary Schools started noticing an increasing number of cases of DCM in unusual patients: Golden Retrievers, Labs, mixed breeds, and small breeds. Many of these dogs were much younger than we would typically expect to see develop DCM.Usually DCM strikes middle aged and geriatric dogs, but some of these dogs were only 2-4 years old.One thing that many of these dogs had in common was what they were eating. Primarily these dogs were on grain-free diets.Several academic programs began studying this link between diet and disease, both tracking what the dogs were eating and also tracking what happened if the diet was changed.About a year ago, the FDA became actively involved in this research as well, and the FDA has since released several notifications about potential risks. We are still early in the process of determining what exactly is the problem with these diets and heart health. Is it a toxin? Is it a formulation problem? Is it a digestion or bio-availability problem?Initially, the belief was a lack of taurine, but the answer is not that simple as many dogs have normal blood taurine levels. Taurine supplementation alone will not help many of the affected and at-risk dogs.The FDA, in combination with several university cardiology and nutrition centers, is working hard to try and figure out the cause.We have learned that it is more than just grain free diets.Multiple boutique, exotic ingredient or grain-free diets (BEG diets) have been identified.Exotic ingredients include things like alligator, wild boar, ostrich and kangaroo. Not all dogs on these foods will have problems, complicating the research. If your dog is on a BEG diet, change it. Regardless of the brand, we cannot recommend any grain free diets until we better understand the science behind this risk. Other boutique and exotic ingredient diets may also be putting your pet at risk. If you think your dog has grain or other food allergies, call the office so we can determine if that is truly the case with an appropriate and controlled food trial. When choosing a diet please investigate the science behind the food you have chosen. Does the company follow World Small Animal Veterinary Association (WSAVA) guidelines for pet food development and production? Questions to ask: Do they conduct feeding trials prior to releasing food to the market? Do they support independent research in veterinary nutrition?Do they employ full-time, board certified veterinary nutritionists or PhD level animal nutritionists? Do they have robust quality control practices? At this time, we are aware of only 4 brands that meet all WSAVA guidelines: Purina, Royal Canin, Science Diet/Hills, Iams/Eukanuba. We understand that there can be a lot of misinformation regarding quality of these brands of food. Be careful to base your decisions on science, not marketing. Our doctors fully support feeding these brands of food. Choosing food for your pet can lead you down many of rabbit holes with lots of strong opinions. Let us help! If you have questions about your current food, reach out and let's talk about it. If you want to make a change but are unsure where to go, let us know. If you want to know more about the FDA investigations, the foods implicated, and how to choose a good food for your pet we are leaving you with a list of links to explore as a place to start (copy and paste if needed). And as always, we are here to help! Northstar vets has issued an alert for the NJ/NY/PA area due to a significant spike in leptospirosis cases. Leptospirosis is a bacterial infection affecting the kidney and liver. It is a zoonotic disease, meaning you can catch this from your pet. It is spread through contact with infected urine, and is carried by mice, rats, and other small mammals. The bacteria has also been found in wet areas or in sitting water such as in old tires and buckets. This is a curable but severe disease that requires long term antibiotics and supportive care, and can be fatal. Clinical signs seen with Leptospirosis include lethargy, loss of appetite, increased thirst and urination, vomiting and icterus (yellowing of gums, skin, and whites of eyes). Animals at significant risk include those who spend any significant time outdoors, have any sitting water or wet areas in their yard, hike in the woods or near ponds, lakes or streams, or have wildlife in their yard. However even pets in urban areas can be exposed through rodent urine, and there have been a number of serious cases in our area. There is a vaccination available for this disease. We encourage you to speak to us about your pet's risk and whether the vaccine would be beneficial for your pet. Has your aging dog or cat slowed down? Are they reluctant to get up, run or jump, or unable to carry on their normal activities? Does your cat sit and look at the counter but no longer jump up? In many older animals this is the only sign that they hurt. Often the first course of action is pain medication (including rimadyl, tramadol, and gabapentin), which helps many animals suffering from chronic pain. We also offer alternative therapies including rehabilitative laser and glycosaminoglycan injections (adequan). These modalities are especially useful for animals that cannot tolerate oral medications, or whose pain is not sufficiently controlled on oral medications. 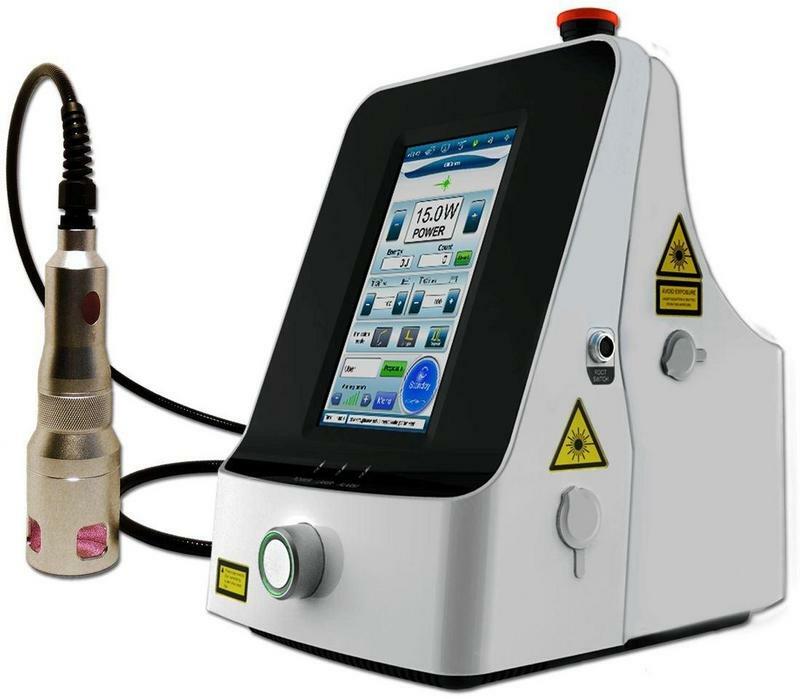 The main effects of laser are to relieve pain, reduce inflammation and increase circulation to the affected area through a process called 'photobiomodulation'. Using red and infrared light over injured areas, laser stimulates healing and pain relief at a cellular level. Adequan is an injectable polysulfated glycosaminoglycans, which is effective in increasing joint fluid and reducing the damaging effects of destructive enzymes in an inflamed joint. This injection has a rapid onset, reaching the joints within hours. Both modalities are often used on a long term basis to keep your beloved pet comfortable. Please ask us for more information!